The comedian known for fake knowledge and unshakeable confidence reveals his softer side in a show built on personal stories. 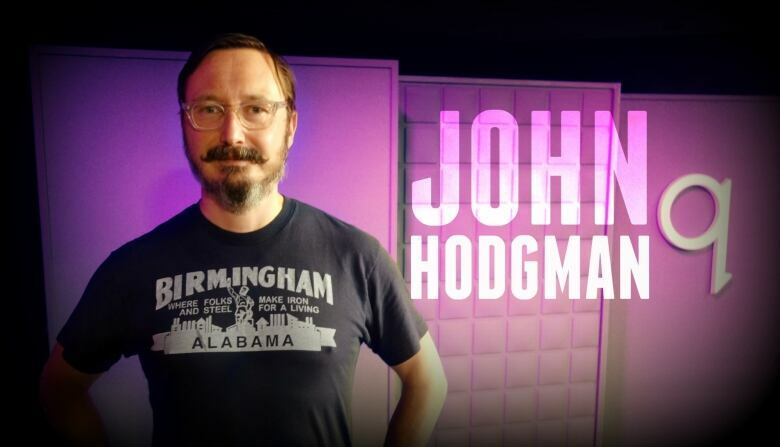 You may know John Hodgman as a man with a lot of confidence. Maybe too much. The comedian has written three books of trivia — although most of it totally made up. On his podcast, Judge John Hodgman, he boldly rules on other people's arguments. And as Resident Expert on The Daily Show, he's given his opinion on everything from politics to art to the weather. Now the comic known as the face of PC is on tour with a new one-man show called Vacationland. The revealing show is something of a departure for a comedian who has built his career on fake knowledge and bulletproof life advice. Today he joins Shad to discuss why it's fun to be a fraud but also important to make peace with who you really are. WEB EXTRA | As mentioned on air, here's Hodgman's cheeky Daily Show sendoff. Good or Bad: The fanny pack is back!